Resume Writers: Want More Clients From LinkedIn? You know that LinkedIn is an important website for your jobseeking clients … but are you taking full advantage of LinkedIn's power to connect you to prospective clients for your resumes, cover letters, LinkedIn profile development services, and job search support offerings? "14 Ways to Get More Clients From LinkedIn"
Take full advantage of your public profile. Create a unique public profile vanity URL. Maintain your LinkedIn account via mobile. Set up a Google Alert for yourself to monitor LinkedIn. Import all your offline and online business contacts into LinkedIn to create your social graph. Share your social graph with other social networks. Share your LinkedIn posts with Twitter. Whitelist LinkedIn in your email filters. Use LinkedIn – don't just be on it! The guide includes step-by-step instructions for implementing many of the tips too. And it's free. Colleagues: Like this post? Please share it! 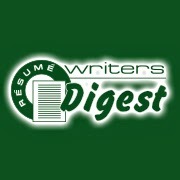 Resume Writers: Are You Easily Distracted? Are you easily distracted? It's not uncommon -- after all, self-employed resume writers wear a lot of hats, meaning we have to accomplish a lot of different types of tasks each day. Being focused on one thing for a certain period of time allows you to do better quality work, more work gets done quicker, and your creative ideas flow easier. Being focused on one task at a time is less stressful. And being less stressed allows you be happier. 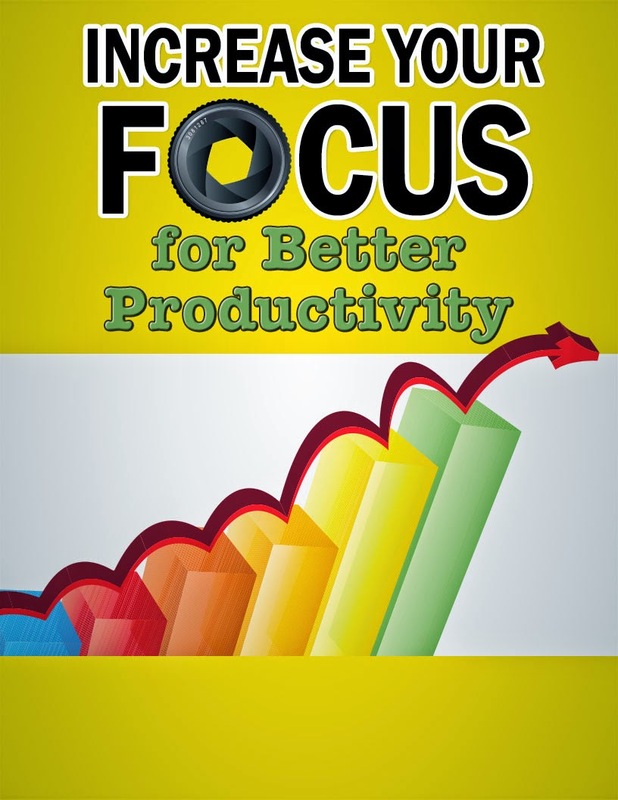 It’s difficult for people to remain focused on one task for a variety of reasons. For one, we live in a world where we are constantly bombarded with TV, radio, cell phones, Internet/ social media, as well as a much larger population that lives closer together than ever before. By giving all your attention to the task without distraction, you can get it done much more quickly and with fewer mistakes. Your work will be higher quality as well. Another benefit to being focused is that your creativity will kick in too. You’ll come up with new ideas associated with the task at hand, whether that's a client resume, a blog post you're writing, or a brainstorming opportunities for passive income in your resume writing business. 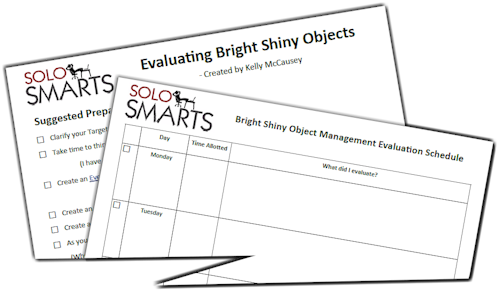 If you want more tips for getting focused, check out Kelly McCausey's "Managing Bright Shiny Object Syndrome" program. It's free for a limited time, and includes two worksheets and an audio training. Get your free access to "Managing Bright Shiny Object Syndrome"
What's the Next Big Tool for Jobseekers...After LinkedIn? LinkedIn is definitely the #1 took for jobseekers when it comes to connecting with your network to find leads, contacts, and opportunities … but it's not the first tool you can use in your job search, and it won't be the last. An article in TechCrunch talks about a new tool that will help you analyze your existing connections to help you reach the people you want to know. It's called "Conspire," and it analyzes your email (Gmail, specifically) to help you connect to people you want to meet -- and, in particular, it helps you analyze the strength of the connection to the people you already know to make that introduction. Right now, the app has the strongest successes within the tech community. When I tested it out, it helped me identify people I already knew, but wasn't as successful helping me reach people one connection out. Part of the challenge is that it only uses Gmail right now, and I don't use my Gmail email as much as I do my BeAResumeWriter.com and Resume Writers' Digest emails for work contacts. Because I have corresponded with Wendy through my Gmail account (occasionally -- I usually correspond with her through my Resume Writer's Digest email), it found we had a direct connection, although it was weak. Nope. Not only did it not connect me with Louise through Wendy, but it didn't show any connection with her at all. (I actually correspond with Louise through my Resume Writers' Digest email account). So, it's not perfect yet, but it's definitely worth a try. It's another tool in the toolbox for jobseekers … but LinkedIn is still #1. Perhaps as the Conspire network grows, it will become more effective and powerful. Check out Conspire here. It's free. "Does anyone know how to keep "say congrats" from being sent to someone's network once they've changed jobs? Thank you in advance!! If you do not want LinkedIn to notify your network of the update or addition (and you do NOT want a "Say Congrats" notification sent), make sure the line is RED and it says, "No, do not publish an update to my network about my profile changes." She (the majority of resume writers are female) is in her 50s, and has been writing resumes for 10 years as a self-employed resume writer. 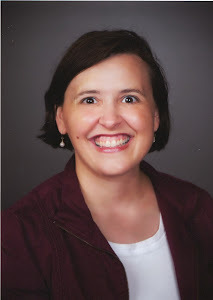 She is a Certified Professional Resume Writer (CPRW) and is a member of both the Professional Association of Resume Writers and Career Coaches (PARW/CC) and the National Resume Writer’s Association (NRWA). Our average resume writer works from home almost exclusively. She spends 25-30 hours a week writing, and another 15-20 hours a week on administrative and marketing activities. She writes 2-3 new resumes a week, and works on 1-2 updates weekly. Her average package — for which she charges $300 — includes a resume, cover letter, and references page. She collects payment upfront and uses a combination of a questionnaire followed by a brief phone consultation to gather information from the client. Her biggest frustrations revolve around marketing her services (especially finding clients who are willing to pay the rates she is charging without too much push-back) and figuring out how Applicant Tracking Systems technology affects the resumes she writes. As for income, she brings in gross revenues of $3,800-$4,600 each month, and she nets around $44,500 a year after taxes.